Are you selling your home “By Owner?” Let the experienced professionals at Benefit Title Services guide you from the initial sales contract through closing. Benefit Title Services puts your weight on our shoulders by offering quick transactions, top customer support and automated weekly updates! As homebuilders, planning smart with the right partners is key. Benefit Title Services can help from initial lot research to cost-effective closings. Lenders face great challenges when granting traditional home loans. Benefit Title Services works to make the process as seamless as possible. Our staff of professionals average 23 years in the title insurance industry and are more than ready to manage your high-volume, multi-family developments. Excellent service! Kept me informed of progress frequently from initial contract to closing. The work was impeccable and made the process effortless for me. I would highly recommend them. Fantastic experience! Rob and his team helped guide me with a “for sale by owner” closing that was painless. Payment in my account within hours of closing! Great title company. They are on top of it from start to finish. Robert is amazing! Very nice, very professional. Great office all around. Happy realtor! My husband and I had a great experience with Robert Young at Benefit Title Services. The entire process from start to finish was pleasant and seamless. Benefit Title provided excellent service to us during our closing process. They kept us posted weekly on the progress and made sure all was in place. Benefit Title has always been fabulous to work with. Their communication has been perfect and I know I can always count on them to get the job done. We recently purchased a home and worked with Benefit Title Services. The team was excellent to work with and very professional. 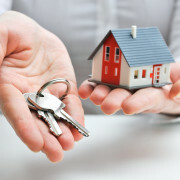 Benefit Title made the home buying experience less stressful. Weekly emails kept me in the know and prepared to close. I would definitely recommend them! For almost a decade, Benefit Title Services has helped countless homeowners, realtors, homebuilders, lenders and multi-family developers throughout Florida with quick, seamless transactions and top-notch customer care. We’ve managed every sales contract imaginable and work to ensure any potential title problems are resolved ahead of time so closings are accurate, timely and cost effective for everyone involved. With an average of 23 years working in the title insurance industry, the experienced professionals at Benefit Title Services understand the importance of each-and-every transaction and guide our clients every step of the way. With Benefit Title Services, you can Rest Assured your next closing will be a smooth, worry-free experience. To learn more, call 800-237-9190 today! Always looking out for our clients, Benefit Title developed two company-specific rate calculators to help customers better understand their total transaction costs. Our Refinance Rate Calculator helps lending professionals estimate title insurance fees, recording fees and transfer taxes, and provides accurate numbers for Good Faith Estimates. Our Seller’s Net Sheet Calculator helps Realtors and homeowners figure all typical seller closing costs and estimates the bottom line net proceeds from the sale. Unique in the industry, Benefit Title offers all clients a cutting-edge tracking tool designed to help follow closings from beginning to end. Now, customers can log into our secure website to view their files in real-time, download documents, enter orders online, and e-mail our staff directly. Even after closing, title policies, settlement statements and surveys are on file and accessed with a simple click!